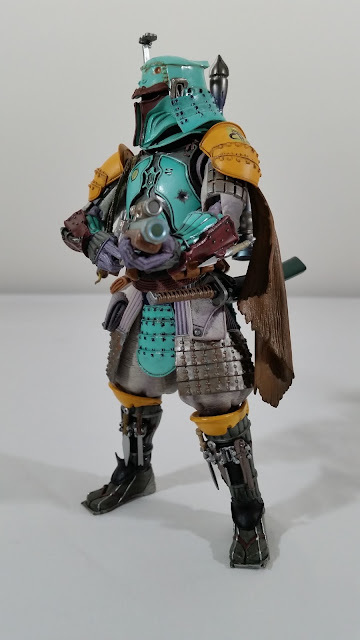 It was a year ago in December 2014 that the Samurai Taisho Darth Vader was released, and was instantly one of my figures of the year. That was an incredible introduction to this new Star Wars Movie Realization line, and continued with the Ashigaru Stormtrooper in June 2015. It's almost fitting that a year on from that initial release, Bandai Tamashii Nations have released another figure late in the year to be instantly one of my favourites of 2015! 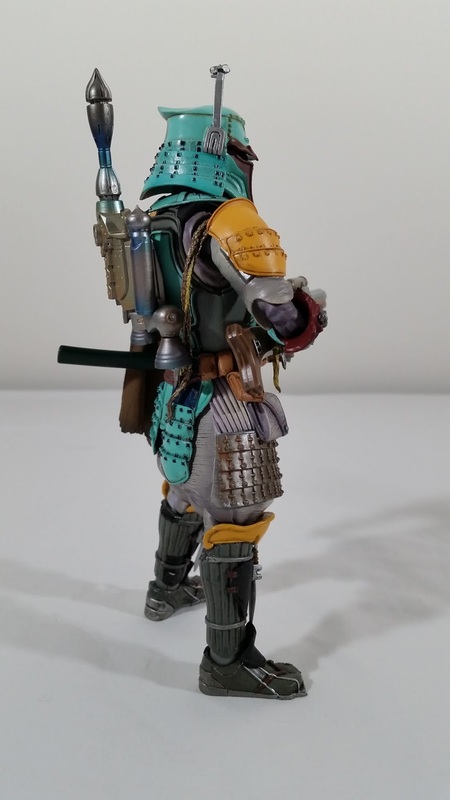 If you loved the detail, articulation, and style of the previous two figures, you are absolutely going to love this new Ronin Boba Fett! Click below to head over to the Kool Kollectibles YouTube channel for my full video review. 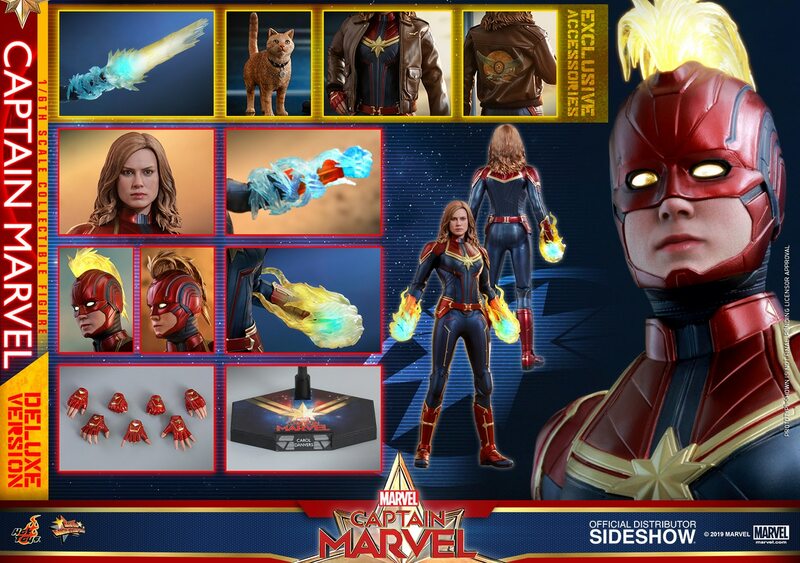 You'll get an up-close look at the incredible details of this figure! Scroll further down too for more pics and my thoughts. The detailing in the outfit on this Boba Fett is nothing short of amazing. 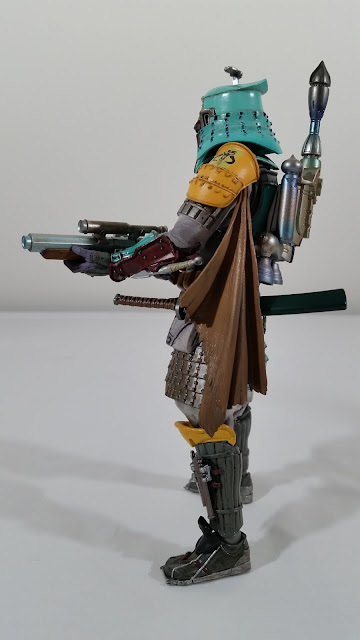 It has all the nice artistic details as the previous figures, but the light green, orange, and grey paint application just seems to bring out the detail in everything! The sculpting on the helmet is very nicely done, and the viewfinder can swing down in front of the visor. The tip of the viewfinder also has some nice sculpted detail that looks almost like a dragon, so it's those great little touches that really impress. The rims on the rear of the helmet seem more tightly glued together this time, whereas the Vader and Stormtrooper had gaps between them. I don't mind this new approach as it's less prone to coming unglued, but still retains the overall awesome look of these helmets. I think the shoulder pads are on ball joints like the previous figures, but it's not immediately obvious. Underneath the right you'll see the Wookies braids, and on the left you'll see the cape. These are pretty nicely done in softer plastic, with decent paint apps to being out the sculpted detail. The Wookie braids to tend to get stuck in the shoulder joint against the neck plate, so be careful of paint rub there. The rocket pack is removeable, and simply pegs into a hole in the back of the suit. The overall design is pretty nice, but somehow looks more Indian than Japanese to me, especially the tips of the missile and side boosters. But still, with a nice metallic finish, it still looks pretty nice. The sculpting on the rest of the outfit, from the chest and back plates to the skirt and pouches, are against very nicely done. 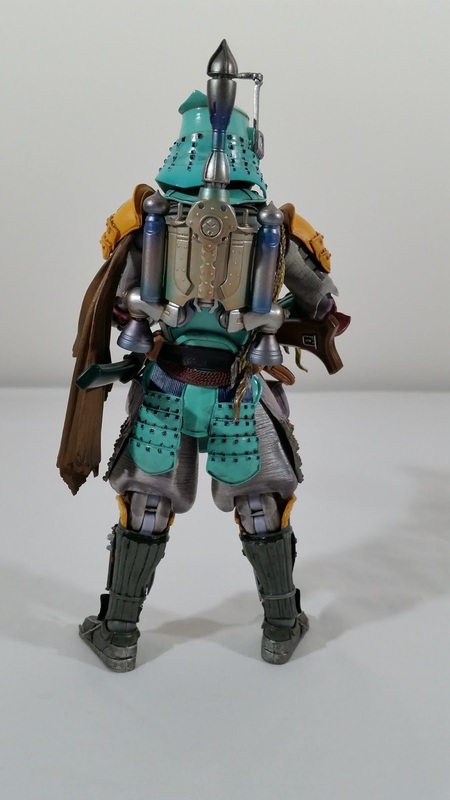 The chest piece has some nice battle damage to reflect the iconic suit, and the pouches both on the belt and pants area give him that great Boba Fett style. Most of it is done in softer plastic to minimise impact on the articulation. Overall the articulation is pretty good and on par with the previous figures. I was actually surprised at how high the arms could be move out the sides, but the legs are a little more constrained. Either way though, you can definitely still get the figure into the awesome museum poses as well as really dynamic flight poses. I love that they included the accessories for his shin tools. Some do take a bit of effort to peg in there, but once done they really do look cool. I also like the knife that is attached to the forearm gauntlet in place of the flamethrower. The sword sheath needs to be placed into the holster belt clip fairly carefully to avoid paint rub. I'm still uncertain as to whether it's meant to curve up or down, but either way it looks great against his belt. The sword itself is similar to those provided for the Stormtrooper. I also love the little Japanese shoes that he's wearing, complete with the two small points on the tips of the feet. Articulation is still a little scary in the feet with the ball joints there, so be very careful not to snap the joint. The main rifle is beautifully designed, with a rustic style to it and a great weathered paint app. Getting the hands to grip it takes effort, so I would definitely recommend heating up the hands first in some hot water. This should make them grab the rifle without stripping paint off. 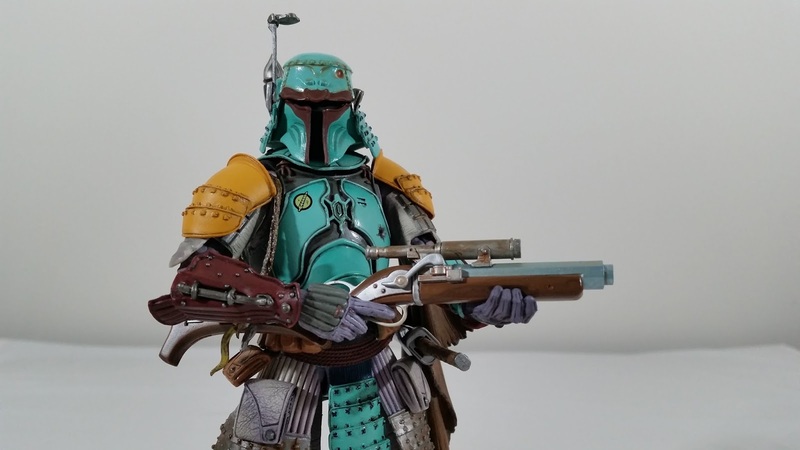 I'll more than likely leave mine in the pose where he's simply standing there holding the rifle. 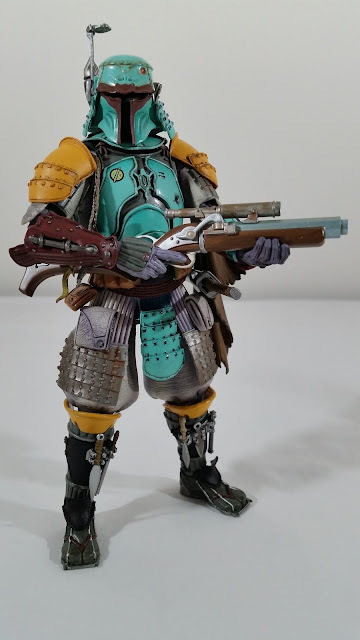 It's a nice classic pose that shows off the best features of this figure. 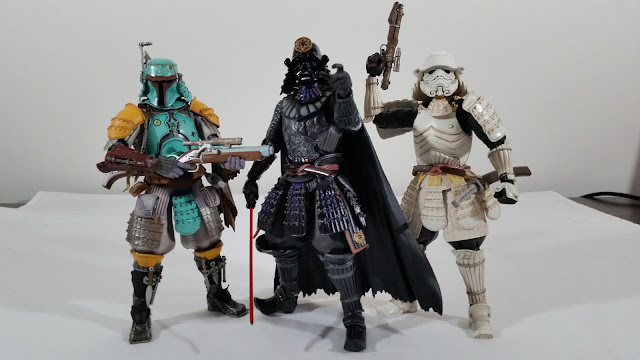 Together with the earlier figures, it's clear to see that this Movie Realization line makes for an incredibly unique Star Wars collection. The build quality coupled with incredible sculpted details and paint application make these some of the best Star Wars figures in my collection.